Ceramics, precision casting, refractories, catalysts, fuel cells, fibre optics, nuclear power generation, water treatment and medical prosthetics are just some of the applications, as shown in the schematic below. Download a larger version of this graphic. 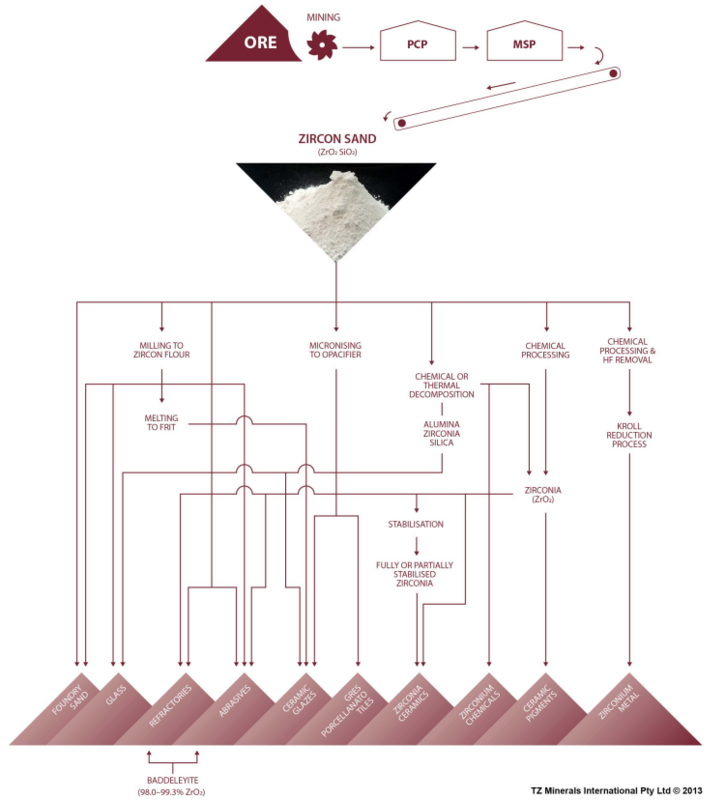 For more detailed information about the zirconium value chain, please download our Zircon Handbook (latest edition 2015) or see Market Support & Development.